August 5, 2006 - 8:30 PM - Punk and Funk. The Audibles' long-awaited CD release party. Secret Gossip brings blue-eyed funk all the way from Nashville. The Audibles formed in the fall of 2003. With influences ranging from The Police, Elvis, and Faith No More, The Audibles are as eclectic as they are tasteful. Intense vocal harmonies, coupled with melodic basslines and atmospheric guitar riffs atop balls-to-the wall drum beats, add up to make for a monstrous sound - delivered live at every show via this no-nonsense, no-frills rock trio. Their DCT performance celebrates the release of their brand new CD, "No Frills." Secret Gossip combines elements of jazz, funk, R. 'n B., gospel, and rock music to satisfy your hankerin' for a hunk of southern fried funk. 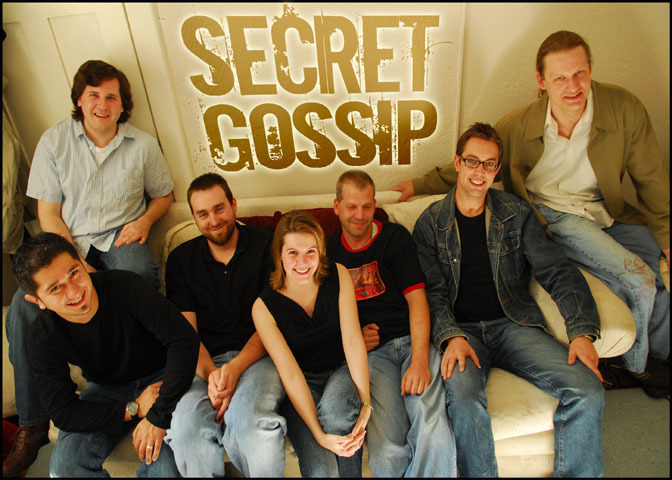 Based in Nashville, Tennessee, Secret Gossip has played high profile events such as the Nashville Pride Fest, a CMJ showcase at the Red Lion in New York City, a "Support The Troops" benefit in Panama City, Florida and the NAMM show (National Association of Music Merchants) in 2003 and 2004. 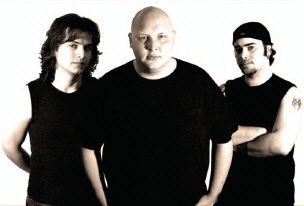 The group released its debut EP "Music For The PM" in the summer of 2003 and is currently spreading the word about the release of its new self-titled LP. August 12th - "Broaden Your Band." Fender sends Stranger's Vibe to Luna to join local favorites, The Fakers, for a great night of music. On Saturday, June 17, 2006, Friday's Child launched the Digital Café Tour's Summer 2006 Live Concert Series at Luna Stage in Montclair with a rare blend of old favorites and first-time performances of new material. Saturday, June 24th was Indie Women Rising, featuring rising Country Blues Pop star, Laura Dodd, and hauntingly confessional singer/songwriter, Carrie Engdahl. Jersey Rocked on July 8 with home-grown rockers The Dark Marbles and a surprise command performance by Friday's Child. July 15th was Indie Women Rising II with Montclair local folk rock hero, Susan Chamberlain and New York's own piano-wielding songstress, Clare Cooper. July 22 was Jazz Night, featuring the critically acclaimed quintet The Mark Tonelli Group and Brazilian jazz artist Monika Oliveira with Portinho Trio. July 29th was Classical Chamber Music Night featuring The New Jersey Saxophone Ensemble.